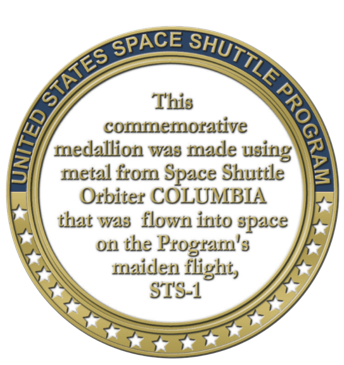 Get Your Space Shuttle Commemorative Coins NOW! Only $49.99! Take a VIDEO TOUR of the coin’s artwork, and see the Shuttle Orbiter metal prior to production. Each coin contains actual Space Shuttle metal flown in space! 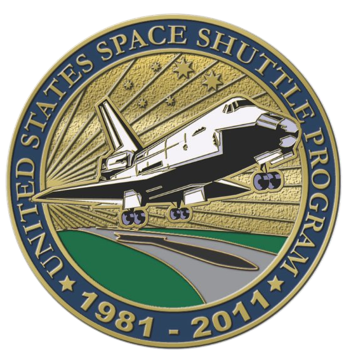 The Space Shuttle Program 1981 - 2011. 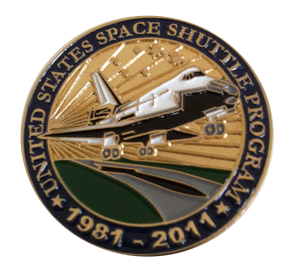 The Space Shuttle Program Commemorative Coins are still available, but quantities are LIMITED, so don’t delay - ORDER TODAY!